Bracelet similar to the Rosary, known as Komboskini (translated to string with knots) featuring a stylish .925 Sterling Silver and Mother of Pearl Evil Eye. 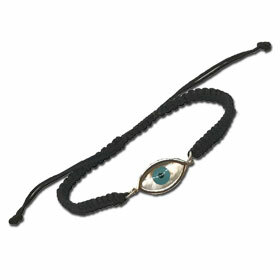 While the original bracelets were religious, these can also be worn as a fashion accessory. Komboschinis were used to count prayers.